A novel “floating pipe” to recover plastic from the ocean has just arrived on its maiden voyage to the Great Pacific Garbage Patch. 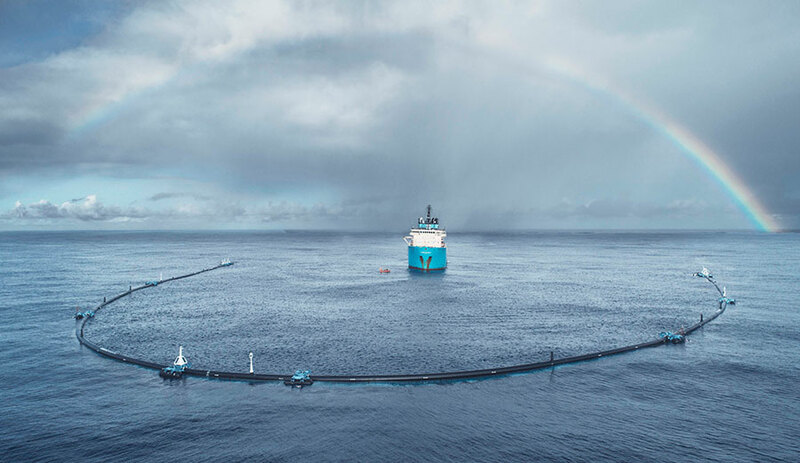 Run by Dutch start-up Ocean Cleanup, the scheme involves a 600m-long floating pipe connected to a net, which herds plastic into place before it is gathered and taken to shore by specialist boats. The question of why we should bother to clean up the oceans may seem obvious to you but, as an economist who studies these things, I like to put a number on it. Plastic in the ocean has a direct financial impact through things such as lost tourism, damaged ships or fewer fish to catch. But it also has a wider and harder to quantify economic impact on lost marine life or reduced beach and water quality. These damages, estimated at US$1.25 billion annually, imply that recovering marine plastics is worthwhile. But my research suggests that it might not be financially viable to do so. This is partly because the clean-up is so expensive. Unsurprisingly, towing a massive boom out to the middle of the ocean and then periodically transporting plastics to and from it is not cheap. 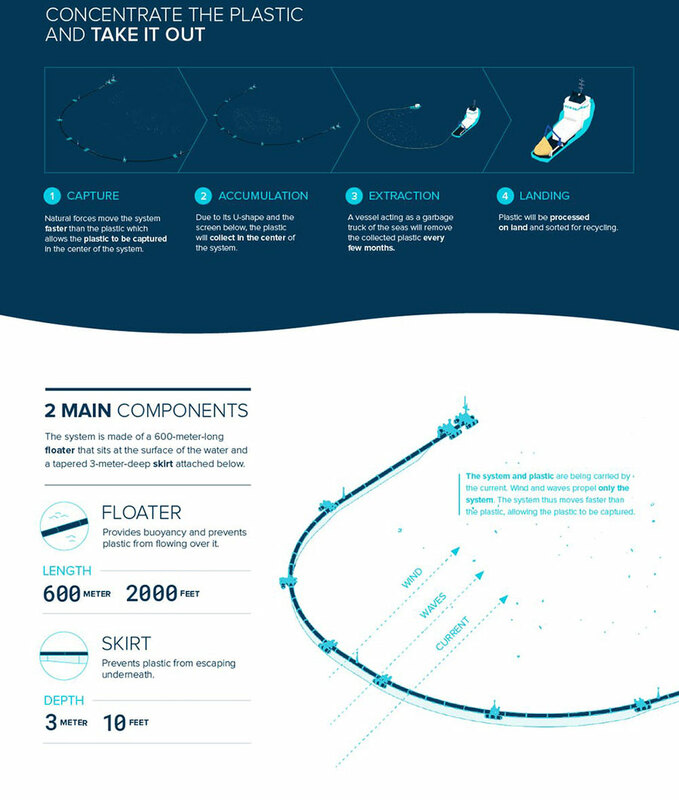 The Ocean Cleanup’s own 2014 feasibility study suggested that once a full fleet of 100km of these floating barriers was deployed at a cost of US$372.73m (currency converted by myself in August 2018), it would collect plastic at around US$5.32 per kilogram. 1. Landfill: This is the easiest option although it leads to actual net losses rather than any benefit. 2. Incineration: Burning all waste generates electricity which is reportedly as much as 60% cleaner than a fossil fuel equivalent. However, this negates the possibility of recycling or reusing the plastics. 3. Pyrolysis: Similar to incineration, except the plastic is heated in the absence of oxygen, so it doesn’t burn. Instead, the process generates oils which can be refined and sold. However, the viability of pyrolysis is dependent on economies of scale which may not suit it to the infrequent collection of marine plastics. Furthermore, at a low level, it is unlikely that the generated oil from plastics can be price competitive with conventional oil sources. 4. Recycling: This is the preferred option, as it is a more efficient use of existing resources. But volatile recycled plastic prices and low virgin plastic prices suggest that this, too, is unlikely to be a profitable option. All this means it costs more than $5 to gather a kilo of plastic from the ocean, while that same plastic will only be valued at – at best – 30 cents. With about 8 billion kilos (8,000 tons) of plastic added to the ocean each year, the costs – and losses – involved are huge. Of course, such a massive loss is not likely to persist in the long term. For instance, increasing oil prices will push up the price of virgin plastics hence making recycling a more valuable option. Furthermore, the high-cost expectations are primarily due to this being the first system of its type. With further experience, research and development in recovering debris at sea, it is likely that a lower-cost method will arise. However, there is no immediate indication of such improvements, and so big losses are expected to persist in the short to medium term. The financial loss contrasts with the economic benefits of recovering marine plastics. Even conservative underestimates of the costs of marine plastics suggest annual damages to be in the billions. Using estimates of how much plastic is in the ocean, I was able to estimate that removing each kilogram would lead to a net benefit of at least US$7 and as much as US$38. But that still leaves us with a direct financial loss of nearly US$5 per kilogram recovered, versus a more than US$7 net benefit to society for every kilogram recovered. So we are at an impasse. It is nowhere near profitable to recover marine plastics, yet it is imperative to do so. Thankfully, a few solutions are at hand. The first is crowdfunding. This avenue worked before for the scheme in question which managed to raise more than $2m in just 100 days. But there are doubts about how viable such a fickle and inconsistent funding source is for a longer-running scheme that would operate at a global scale. Philanthropy is another option. Conceivably, with the support of just a few wealthy benefactors, viable ocean clean-up could be a reality. However, it is unclear whether leaving ocean clean-up to the whim of a few individuals is a sustainable model in the longer term. Finally, the international nature of plastic pollution suggests no single government is going to foot the bill – especially if all the financial benefits are privately appropriated. However, one suggestion is that if taxpayers are already paying environmental charges aimed at reducing plastic pollution, such as the plastic bag tax or proposed latte levy, then perhaps these revenues could be earmarked to fund the scheme. So future policymakers must pay particular attention to the various mechanisms and agreements that may bridge the gap between financial losses and economic benefits. Indeed, evidence suggests a healthy degree of public support for cleaning up the environment, but whether the public feels strongly enough to support efforts via crowdfunding or earmarked taxes remains to be seen. Plastic causes $13 in damages per kilogram per year. The race is on to determine how we can clean up the world’s oceans without bankrupting ourselves.